Some 25 years ago, Memo Kahan and Walter Hill met while working at the same promo company – Idea Man. It was the beginning of an amicable business relationship that’s bearing fruit in 2018: Kahan’s Top 40 distributorship, PromoShop (asi/300446), announced today it’s entering into a strategic partnership with Icon Blue (asi/229398), a Los Angeles, CA-headquartered distributor that industry leader Walter Hill helms as CEO. Per terms of the deal, sales for PromoShop and Icon Blue will merge. 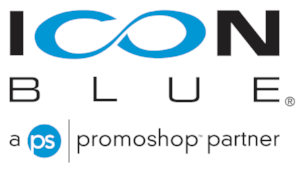 Icon Blue sales and staff members will move to PromoShop’s LA location. “The partnership will be identified to Icon Blue clients as Icon Blue, a PromoShop Partner,” the companies said in a statement. Echoing the sentiments, Kahan said the partnership will prove mutually beneficial, with each firm bringing strengths that will bolster the other. “The synergies between the two organizations feel natural,” Kahan said. With reported 2017 North American promotional product revenue of $45.8 million, PromoShop ranked 38th on Counselor’s latest list of the largest distributors in the industry. Founded in 1998, PromoShop has nine offices and five satellite sales teams throughout the U.S. and Canada in addition to its Los Angeles headquarters. PromoShop has also appeared on Counselor’s Best Places to Work list. Original content copied from the Counselor PromoGram. View article HERE.